Blu-ray has experienced a resurgence in popularity over the past year, thanks largely to its value as a cold storage platform. Organizations with intensive data center demands are turning to optical media as a platform for data archiving. Blu-ray sits head-and-shoulders above other optical formats, providing a combination of capacity, scalability and durability that will meet the needs of many businesses. Facebook has been at the forefront of this movement, taking major strides in the development of data archiving solutions built upon Blu-ray. Most larger operations are beginning to see their data archiving demands increase dramatically. As more companies rely on data centers to process massive volumes of incoming information, they may struggle to cope with data that no longer serves an immediate purpose but may need to be retrieved at a later date. Perhaps no other business exemplifies this as well as Facebook. 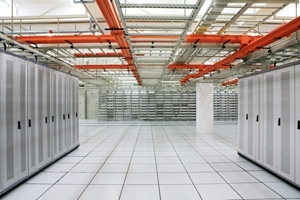 TechTarget reported that a single sysadmin must oversee as many as 20,000 servers, on average. Altogether, the social media giant has hundreds of thousands of servers running in its hyperscale data centers. It’s no wonder that Facebook has so many servers at its disposal when one considers how much information is coursing through its data centers. As CNNMoney explained, the social network’s user base has uploaded more than 400 billion images since the service went live. Those rates have shown no signs of abating, either, as approximately 350 million images are added to Facebook every day. Many traditional archiving methods are not up to the task of accounting for this surge in data. Often, they cannot provide the degree of scalability or affordability needed to support a large operation. Facebook technicians recognized this problem and subsequently looked to Blu-ray as a viable alternative. The ability to reduce energy consumption rates with Blu-ray cannot be overstated. Data archiving is a critical aspect of data center operations, enabling businesses like Facebook to transfer rarely accessed data to less active servers. The problem with keeping these files on active servers is that the associated software must also be running to make them available to users. That would be pretty inefficient considering only 8 percent of images uploaded to Facebook account for its traffic, according to CNNMoney. If organizations fail to make effective use of their data center assets and unnecessarily leave servers in an active state, they will consume a massive amount of energy. This will have a dramatic effect on a business’s bottom line as it must allocate a large chunk of revenue toward paying utility bills. By embracing Blu-ray as a platform for cold storage, companies can efficiently archive data and lower their energy usage. With today’s information-focused business environments, no data can simply be discarded, even if it shows no immediate value. At the same time, it’s important that businesses approach data storage needs with an eye for efficiency. Continually running active servers to host unused information will hurt an organization in the long run. Implementing data archiving solutions designed around cold storage will help companies strike the right balance between availability and affordability. Blu-ray is quickly establishing itself as the ideal platform for these types of archiving efforts. This media format is both extremely durable and easily scalable, helping data center operators to address their cold storage needs without putting the integrity of their data at risk or making further expansion impossible. This entry was posted in Archive Solutions, Secure Storage and tagged archive, blu-ray, cold storage, data archiving solutions, Recordable Media by DIGISTOR. Bookmark the permalink.